RMI Mission Statement – RMI’s mission is to advocate for Maryland manufacturing and help companies grow and be competitive. 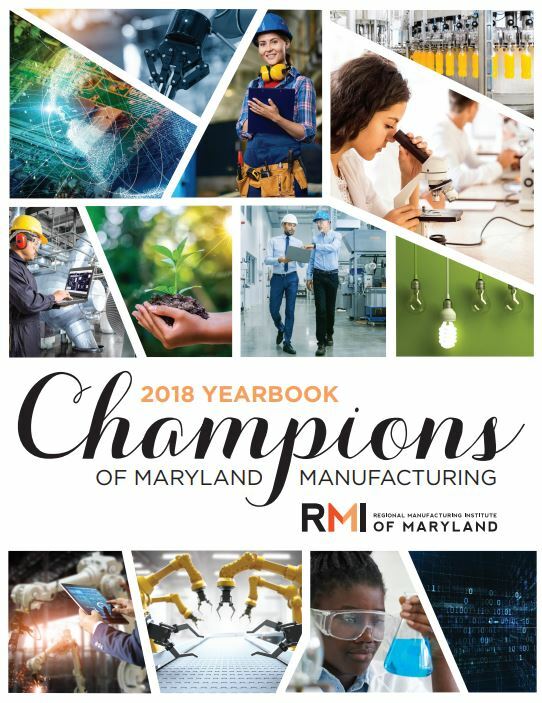 Founded in 1990, the Regional Manufacturing Institute (RMI), a non-profit association, was created for manufacturers in the Baltimore Metropolitan area. Today, RMI of Maryland represents the interests of manufacturers statewide – providing programs, services, and advocacy. RMI represents the interests of manufacturers in every Maryland county – providing programs, services, and advocacy. RMI is dedicated to serving people, families, and communities by growing manufacturing. Jobs in manufacturing provide livable wages that contribute immeasurably to stronger families, communities and economic growth. Techtonic Shift – Connecting secondary and post-secondary STEM students with advanced manufacturing to help connect internships, apprenticeships and job opportunities with candidates. Energy Services – Offers a State-funded program providing complementary engineering resources to manufacturers being served by PEPCO and Delmarva Power to reduce energy. Industry 4.0 Leadership – Provides leadership to manufacturers on the importance of the revolutionary transformation in manufacturing occurring globally, called Industry 4.0. Provides industry success models for manufacturers to follow and helps guide them. Providing a leading voice advocating for Maryland manufacturing interest with engagement of Annapolis policy makers and the Governor’s Office helping to bring new funding resources to Maryland manufacturers. Solved many manufacturers’ problems by interacting on member’s behalf with various Maryland regulatory officials or local representatives. Provided a connection for manufacturers with various student STEM programs, establishing a pipeline for new technology savvy workers. Connected manufacturers with private, state, and federal resources to help manufacturers export their products globally. Served member workforce needs through its collaborative relationship with community colleges, non-profits and relevant government agencies. Connected smaller manufacturers to larger manufactures to provide learning models on lean practices, industry 4.0, exporting, energy efficiency and green manufacturing and more.